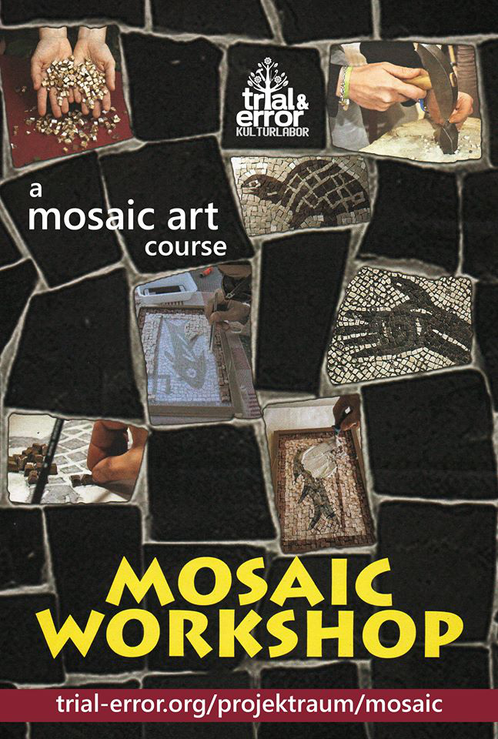 We open an admission of participants for our new workshop about MOSAIC ART! Reclaim old crafts! Mosaic obviously has a special spirit and it catches our eyes since ages. We offer you to learn this ancient art in order to create something original and beautiful. It does not matter what your aim is: you can just gain a skill to create special interior decorations or you can also learn history and even yourself through this natty work. Other special thing about mosaics is that you can connect yourself with art and crafts even if you feel to be far away from them. The character of mosaic technique is it's the simplicity of the process and the beauty of results. During the course, in a small group, you will learn basic mosaic and get the technical method to realize a small mosaic work. The course will last 12 hours (four workshops on Saturdays, 3 hours each) during which you will learn the first technique (indirect method) useful to obtain a flat surface. 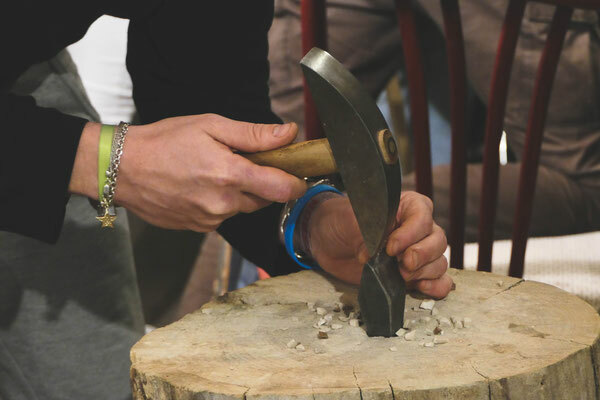 You will also learn how to cut the stones with the mosaic hammer. The intention of the workshop is to be focused on the ancient method of how to cut and arrange the material, using natural coloured stones. You are not just creating interior design piece, you learn to feel the material and the picture as well as you feel your own thoughts and hands. We will display several examples of mosaics in history for a better understanding of the different languages. The price of the whole course is 100€. The price includes materials, tools etc. Working language: English.
! As the course will be held in a small group the amount of places is limited.